I’m glad that this documentary has finally seen the light of day…Salute to Shane Nicholson for making it happen..
“From 1968 to 1975, gangs ruled New York City. Beyond the idealistic hopes of the civil rights movement lay an unfocused rage. Neither law enforcement nor social agency could end the escalating bloodshed. Peace came only through the most unlikely and courageous of events that would change the world for generations to come by giving birth to hip-hop culture. Rubble Kings, the most comprehensive documentation of life during this era of gang rule to date, tells the story of how a few extraordinary, forgotten people did the impossible, and how their actions impacted the world over. 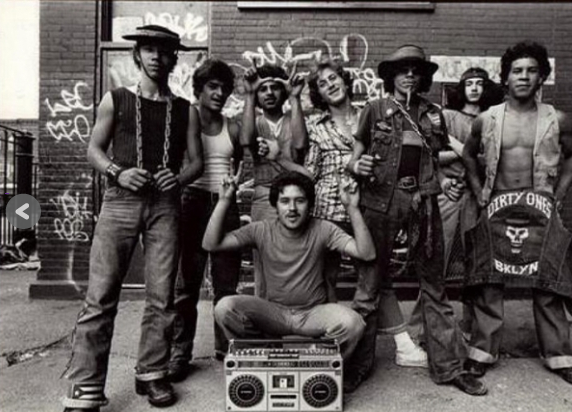 Rubble Kings is a feature length documentary about the New York city street gangs of the late ‘60s / ‘70s and their influence on hip-hop culture”. This entry was posted on November 6, 2014 by hiphopbattlefield. It was filed under Uncategorized . positive Dras! thats what we about, ghetto youth or not, peace, unity, love and having fun… hip hop is indeed the mofockin drill as u often quote! Yeah man, I gotta watch this one been waiting on it for a minute…..How are you guys doing ? Hope all is well..